What is life? What are we here for? What will bring us true satisfaction and lasting happiness?In this companion tohis highly-anticipated new book, Life Is ___, New York TimesandUSA Todaybest-selling author Judah Smith takes readers on a forty-day devotional journey through Scripture to find the answers to these and others of our deepest questions. In forty daily readings, Judah helps readers understand that the meaning of life is found in loving and being loved, in enjoying God to the fullest, in trusting Him in every moment, and remaining at peace with God, others, and ourselves.This thought-provoking andinspiringcollection of meditations is sure to reveal new and illuminating truths about what God intends for every person's life." 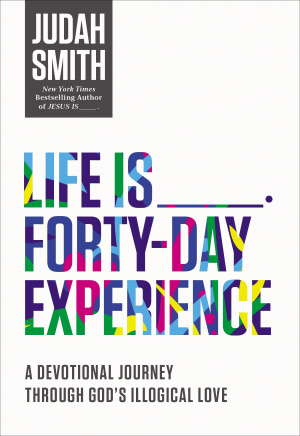 Life Is _____ Forty-Day Experience by Judah Smith was published by Thomas Nelson Publishers in December 2015 and is our 39724th best seller. The ISBN for Life Is _____ Forty-Day Experience is 9780718032661. Be the first to review Life Is _____ Forty-Day Experience! Got a question? No problem! Just click here to ask us about Life Is _____ Forty-Day Experience.